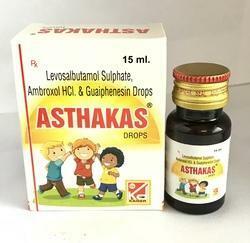 Offering you a complete choice of products which include levosalbutamol oral drop, anti asthma syrup and terbutaline bromhexine capsules. Guaiphenesin stimulates the cholinergic pathway and increases mucus secretion from the airway submucosal glands. 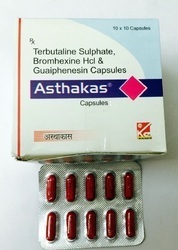 Composition :- Terbutaline 2.5mg + Bromhexine HCL 8mg + Guaiphenesin 100mg. 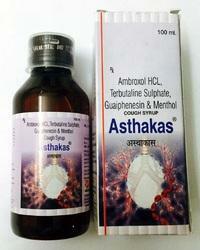 Looking for Antiasthmatic Medicine ?